This idea is not new. I have seen it all over the place, but I will always remember the first place I saw it. 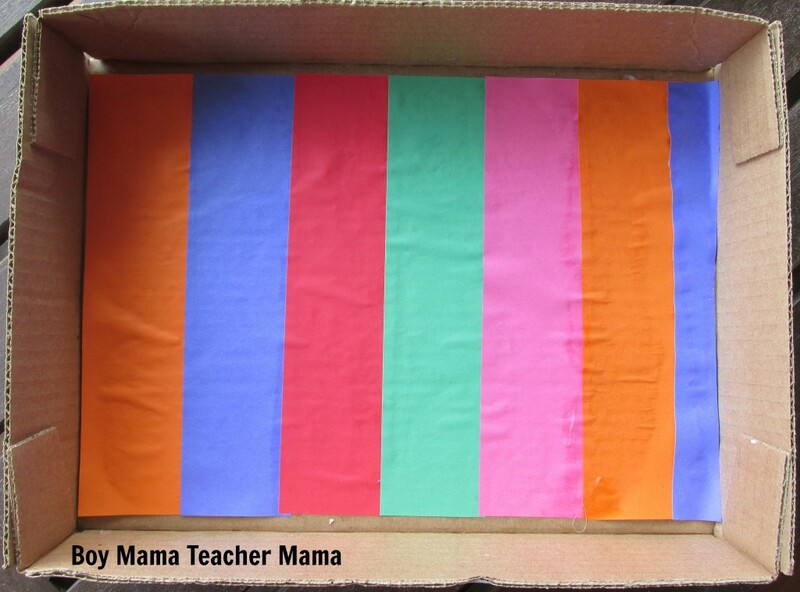 I immediately fell in love with Learning 4 Kids Rainbow Salt Tray simply because of the colors. 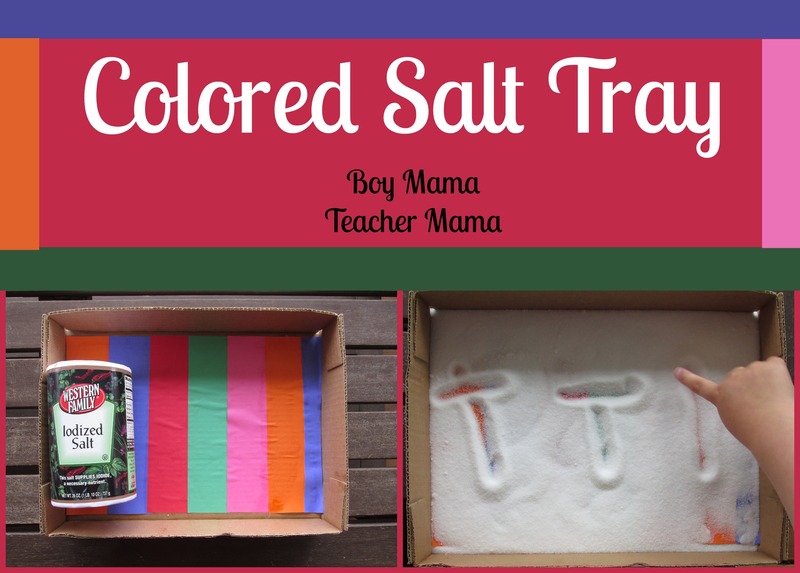 I have been meaning to make a salt tray for my boys, but never got around to it until my youngest’s teacher recently said to me that she had been using with my son to help him learn his letters. Bam! 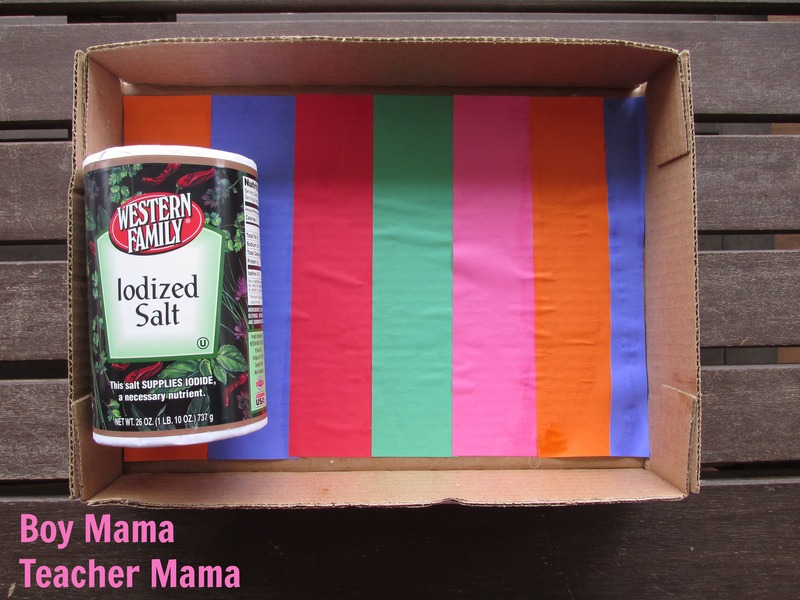 It was back and I was on a mission to make a salt tray for my son. 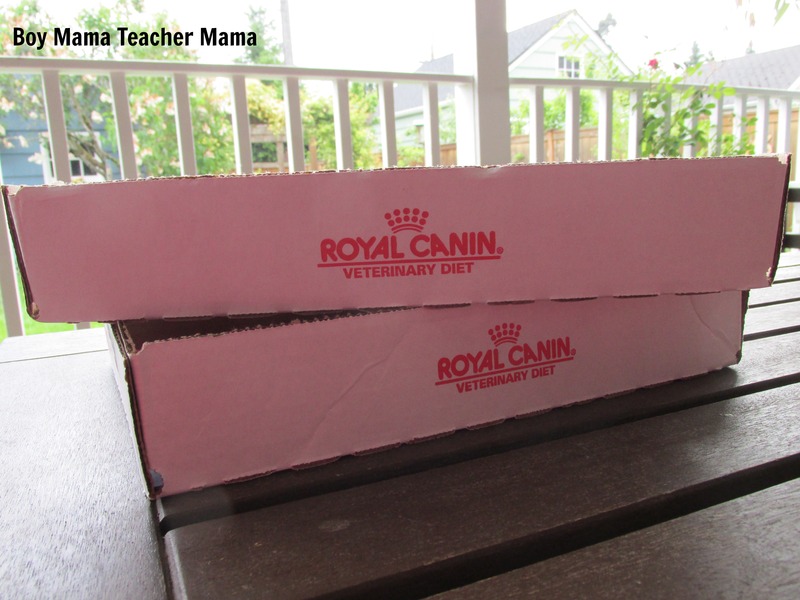 I grabbed some of the cardboard trays our dog food comes in and set to work. I then filled both trays with salt and gave them to my boys. 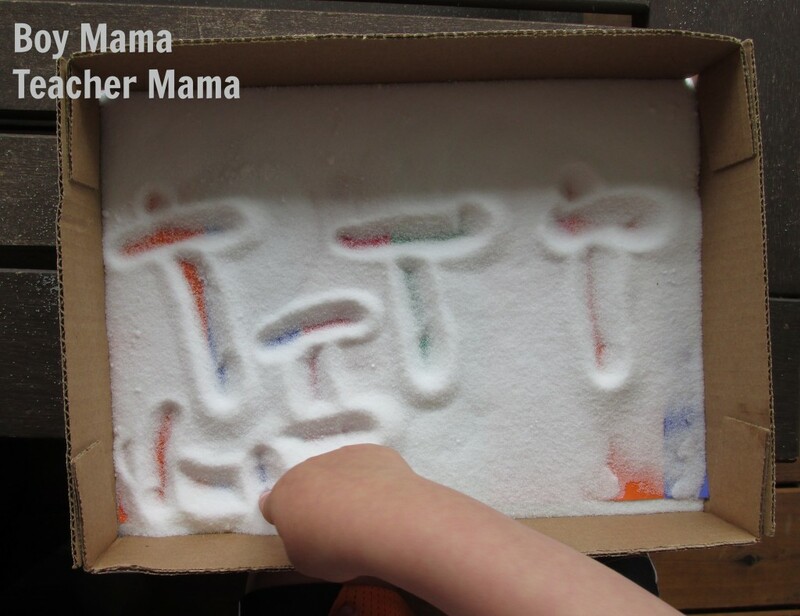 Since my youngest uses one of these at school, he immediately started drawing the letter T in the salt- his favorite letter by the way. He was really excited to see the colors come through the salt as he drew. He experimented will all sorts of lines and shapes. My eldest did something which I did not expect at all. He started making punctuation. Before I knew it he had made a question mark, a period and an exclamation point. How great! I am so glad we finally got around to making our own salt trays. I know my youngest will have lots of fun with it over the next few weeks or until all the salt is gone…. Oh, what a neat idea!! Thank you for sharing at Sharing Saturday! Thank you for linking your post to Say G’Day Saturday. 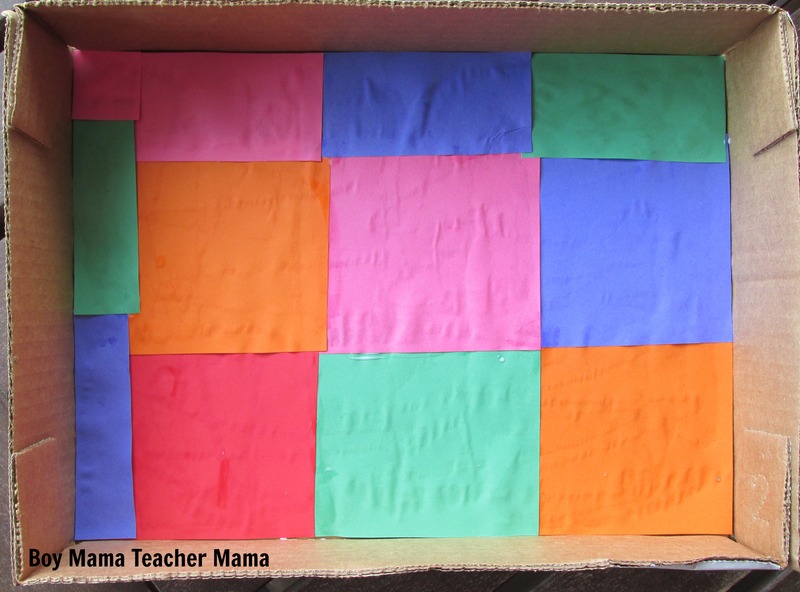 This looks a fun idea for kids for sure! 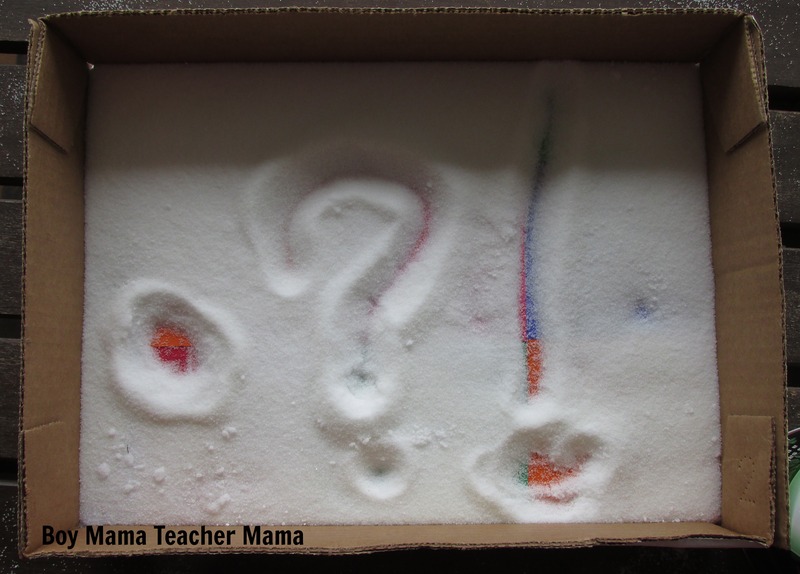 Last time we did a sensory bin with salt and some alphabets hidden in it. I gave him sifter and he had LOADS of fun. It was for our “snow” theme… and it salt all over the place, since then I am thinking of doing it again… this looks wonderful. I think it is time to make a rainbow salt tray 🙂 Thank you! Glad you like it! Let me know how it goes!